Alceste Campriani (Terni 1848 - Lucca 1933). Biography. Alceste Campriani was born in Terni in 1848. He moved to Naples with his family and from 1862 to 1869 studied at the Regio Istituto di Belle Arti where he got to know Giuseppe De Nittis. 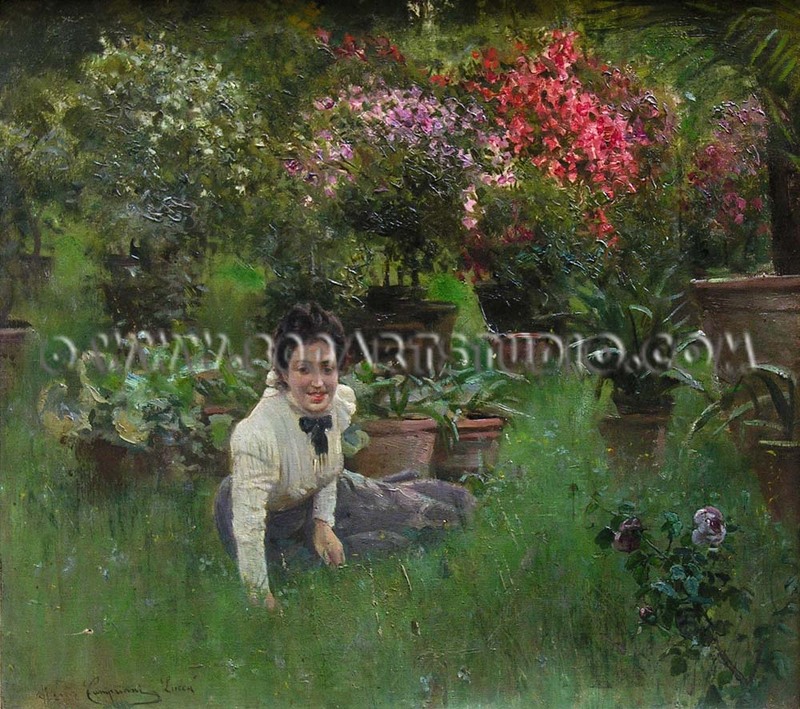 During this period in Naples he distinguished himself in the 1869 test with his “Capodimonte”, later his work came stylistically closer to the Resina School and then became similar to the paintings of the Macchiaoli that, with their individual composition using patches of colour was in line with the artists’ photographic vision of the landscape. His friendship with De Nittis proved to be advantageous to Campriani because he was introduced to the French merchant Goupil who employed him until 1884. This contract enabled him to get to know and therefore to work in Europe and in America. At the same time he took part in all the exhibitions held by the Società Promotrice di Belle Arti in Naples, in 1871 with “Impressione di una pioggia” (Impression of a Rainfall), “Effetto di neve” (Impression of Snow) and “Delle guerre gli errori meditate” (Pondering the Errors of War). In 1885 he was also a member of the panel of the Società Promotrice and, his contract with Goupil having come to an end, he continued working on scenes of Naples and Venice, landscapes of Switzerland and views of Paris and London. In 1894 he took part in the 3rd. 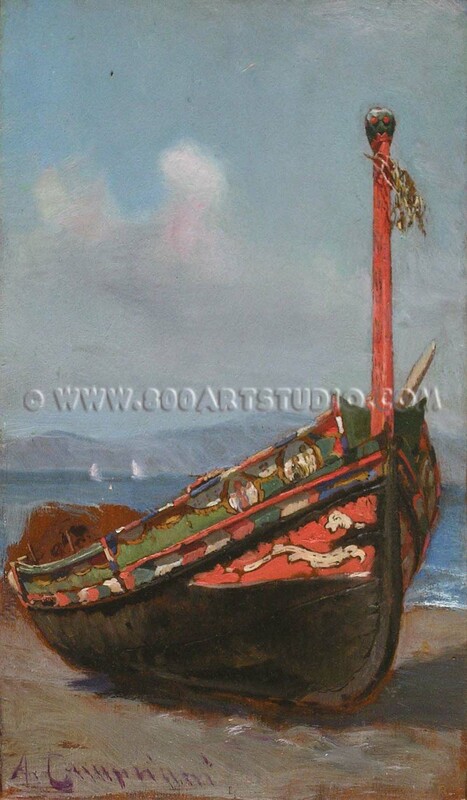 Vienna International Exhibition with “Scirocco sulla costiera di Amalfi” (Sirocco on the Amalfi Coast) purchased the following year by the Minister for Education for the Galleria Nazionale d’Arte Moderna di Roma. At the turn of the century he worked on the decorations for the Gambrinus caffé in Naples and two allegorical works for the Palazzo della Borsa (The Stock Exchange). 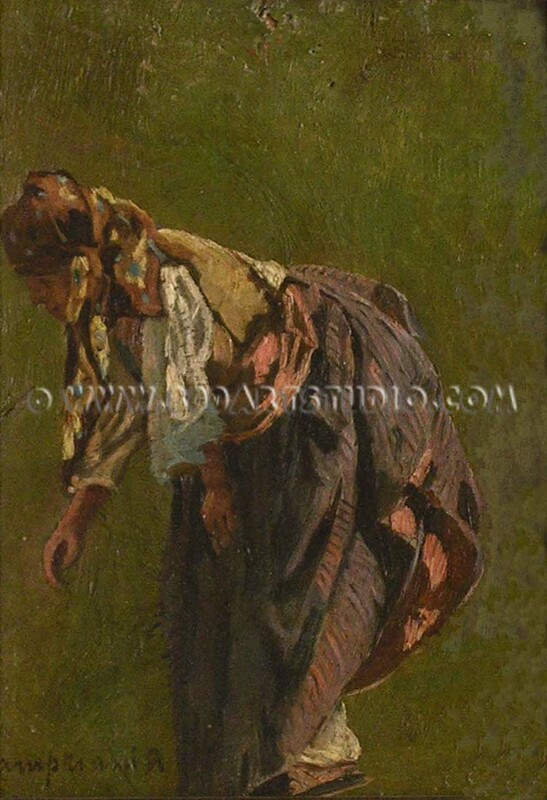 From 1891 to 1921 he taught at the Accademia di Belle Arti di Lucca and from 1911 he was also director there. Alceste Campriani died in Lucca in 1933.